One of my favourite quick snacks to whip up is still hummus. 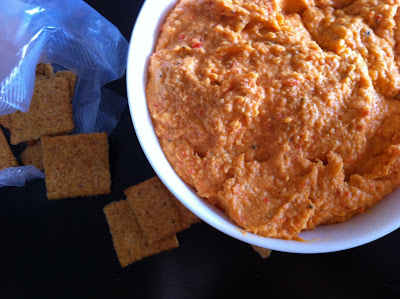 It is tasty, easy, and good for you too! It is also super versatile. You can serve it with nacho chips, crackers, vegetables, as a spread on pizzas, and who knows what else! 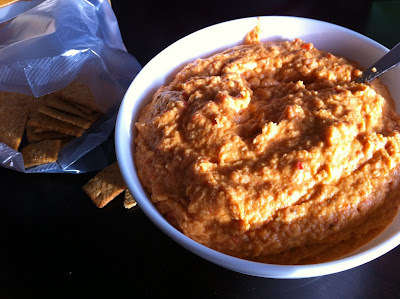 I had a jar of roasted red peppers in my refrigerator so I decided to throw some into my hummus and it turned out delicious! Feel free to play with the recipe, you can add all sorts of spices and other vegetables to change up the taste.